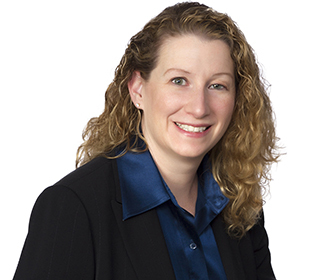 Suzanne Keppeler focuses her practice on the representation of electric utilities on a wide range of regulatory matters before the Federal Energy Regulatory Commission (FERC) and U.S. Courts of Appeal. She counsels various clients on rate development, contract and tariff provisions, regulatory compliance and investigation defense, administrative litigation, and transactional matters. She also advises on compliance with North American Electric Reliability Corporation (NERC) and regional reliability standards. Prior to joining Van Ness Feldman, Suzanne served in a variety of regulatory and legal roles with investor-owned utilities, focusing on FERC matters and NERC compliance. In her in-house corporate roles, she has served as lead counsel in developing stated and formula-based transmission rates for electric utilities in bilateral and organized markets, drafting and negotiated unique transmission and interconnection agreements, developing internal compliance and training programs, as well as assisting her internal clients with day-to-day implementation and interpretation of transmission and market-based rate tariffs. Suzanne also served as lead internal counsel for the implementation of FERC Order Nos. 890 and 1000, as well as other seminal FERC rulemaking initiatives. She has served as lead counsel to provide FERC and NERC audit, investigation and enforcement defense and has extensive experience advising legal, technical and executive offices on compliance with, and potential violations of, FERC regulations. Suzanne also has served as NERC compliance officer for a mid-sized electric utility and as a regulatory analyst within FERC’s Office of Electric Reliability. Advising various public utility clients in developing stated and formula transmission rates and representing clients in rate case proceedings before the FERC. Drafting and negotiating tariff provisions and protocols for public utility transmission systems. Drafting and negotiating transmission and interconnection agreements for public utility clients. Representing various public utilities before the FERC to obtain and maintain the authority to sell electricity at market-based rates. Representing multi-state public utility clients in obtaining federal regulatory approvals of mergers and acquisitions of assets. Successfully litigating complaint proceedings before the FERC on behalf of electric utility clients. Advising various regulated companies on the preparation of internal compliance programs to meet mandatory reliability standards, standards of conduct, affiliate restrictions and open access transmission requirements. Defending and regularly advising regulated companies in audit, investigation and enforcement proceedings regarding market-based rate authority, open access transmission tariff administration, market manipulation and reliability standard compliance. Formerly in-house counsel with: Pinnacle West Capital Corporation (holding company for Arizona Public Service Company); Entergy Corporation (holding company for the 5 Entergy utility companies) and Pepco Holdings, Inc. (holding company of Potomac Electric Power Company, Delmarva Power & Light Company, and Atlantic City Electric Company). Representing natural gas pipeline companies in NGA section 7 application proceedings before the FERC. Litigating and negotiating settlements in natural gas rate case and complaint proceedings at the FERC. Providing advice and training on natural gas federal regulatory compliance and jurisdictional matters. Representing oil pipelines in ICA ratemaking proceedings. Representing oil pipelines on commercial and regulatory matters for new projects.